St John the Wonderworker is located in Atlanta, Georgia and we are a part of the Diocese of the South in the Orthodox Church in America. We welcome all to visit our parish and experience the richness of the Orthodox Christian faith. Fr Tom has been the Rector at St John since 2013. Fr Dcn Gabe is currently the main Deacon at St John. In addition to liturgical functions, he also serves as the parish's catechetical instructor. 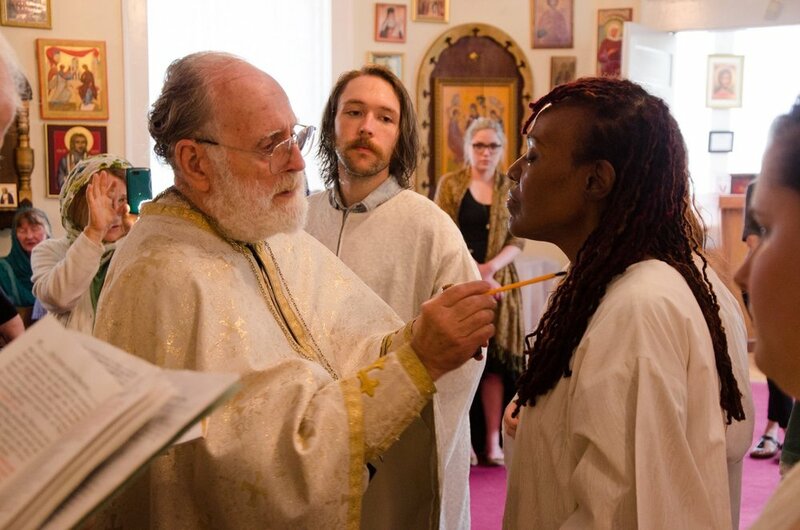 Our founding priest and pastor, Archpriest Jacob Myers, was taken from our midst by a sudden devastating illness. He reposed in the Lord on Wednesday, January 16, 2013. May His Memory be Eternal. The Priest Christopher was originally the Assistant Priest at St John with both Fr Jacob, as well as Fr Tom. Fr Christopher reposed in March and on March 6, 2018 his funeral was held. The church was full of family, clergy, and friends, making evident the wide impact that Fr. Chris made on all of us over his long service in the Priesthood. He was a humble example of what life in Christ should be, and although we celebrate and proclaim the hope of the Resurrection, he will be missed.